Between the upgraded amenities and versatility the new Land Rover Range Rover offers, you’ll be owning the Crofton roads in style. Driving a new Range Rover in your favorite color will give you the flair you need to personalize your model just enough while turning heads of others on the road. Find the black Range Rover, white Range Rover, or choose another color to build the model you want to drive. 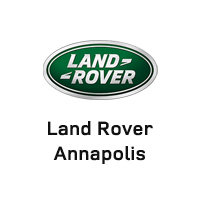 Learn more about the Range Rover, Evoque, Velar, and others when you make the trip to Land Rover Annapolis or contact us with any questions. Compare your top choices to help you decide on the one that’s right for you. Once you’ve found the Range Rover in the color you want, make your way to Land Rover Annapolis to talk with our finance department.